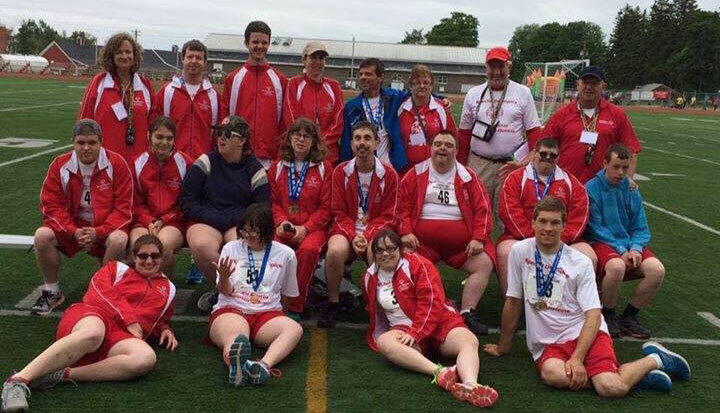 Special Olympics Lunenburg/Queens has over three decades of providing sport programs to athletes with intellectual disabilities in Lunenburg and Queens Counties. We offer programs in athletics, aquatics, golf, softball, bowling, and bocce throughout the summer and in the winter we offer floor hockey, snowshoeing, curling, and bowling. We will be adding to our programs in the near future a basketball and youth program. We also have a small group called the SlowPokes which is offered in Queens County. It is a recreation group for those athletes who will never have the ability to go away to a Provincial or National games due to physical and medical limitations. We hold sporting events through out the year which include our Annual Regional Bowling and Athletic Tournaments, along with our annual curling bonspiel. We also hold a number of other events throughout the year including an annual Awards Banquet in October and the annual Dance-A-Thon in November. All fundraising events help to provide funds to sustain our programs on a year-round basis. All events are volunteer based with a tremendous amount of support from our community. Hours Winter sports go from September to March. Summer sports go from April to July. Practices are held in Chester, Bridgewater and Liverpool. Meetings The first Monday of each month alternating between Lunenburg County and Queens County.